WITHIN THE halls of a certain senior high school is a particular rumor spreading through clicks, shares, and reactions. An online “Freedom Wall” post accusing a notorious student-athlete of sexually harassing his schoolmate started circulating, but it does not stop there. Countless victims suddenly claim that they were also harassed. In the middle of it all, King, the student council president, wants to hear both sides of the story by requesting the victims to file a formal complaint to give proper sanction to the accused—yet, no one did. The problems remain unsolved due to numerous reasons, and more posts continue to be shared online by victims that accuse not only students but teachers as well. Despite having a strong sense of justice and a knack for helping others, King is caught off guard when the ghost of his past starts haunting him while he is in the midst of encountering adversaries far more complicated than the Freedom Wall itself. Staged by Ateneo ENTABLADO, Freedom Wall is a socio-political play that aims to raise awareness on sexual harassment, the effects of patriotism, unfair justice system in schools, false accusations, and the lies and uncertainty that lurk within the shadows of social media. 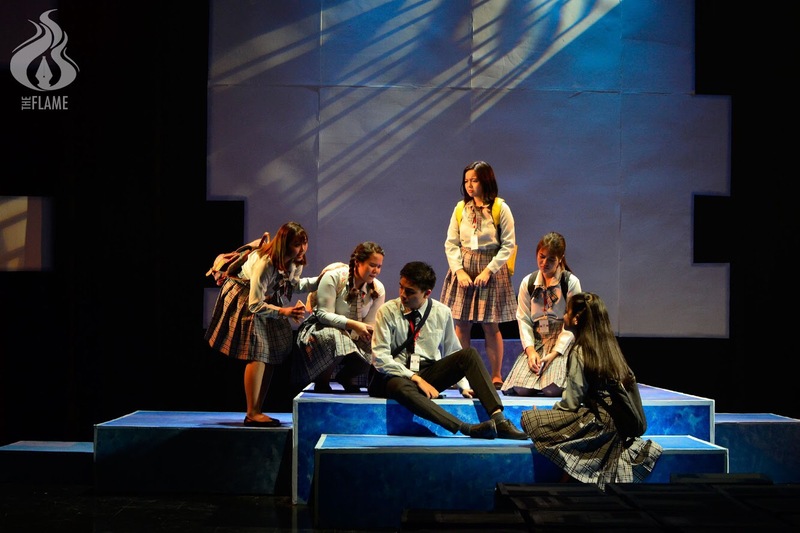 Directed by Jerome Ignacio and written by Tyron Casumpang, Freedom Wall shows the reality of what happens behind every person’s screen, the point of view of the victim and the accused, and the mental and social implications that are attached with it. The actors portray each character with such rich emotion that one may relate to or even recognize these scenes as though it came from their own classrooms. However, what truly strikes a chord is how well the characters blend with each other: King, who, with tremendous passion, wishes to help everyone; Julia, a quiet girl whom King pursues romantically and who becomes an important deciding factor for his resolves; Gizelle, Julia’s friend who leads MUSA, an organization that empowers women and gives them a voice to speak out; Gab, the school athlete and King’s best friend; and finally, Mario, their cheeky and playful classmate. Despite a simple set composed of boxes, multiple platforms, and a projector, the whole cast and crew used these tools to their full potential, which helps mimic simple settings such as a classroom, a home, an office, and even a party. The set incorporates the entire venue in the play so that the audience is not only focused on one direction, but they are also able to observe a variety of angles. The lighting and sound designs complement the heavy atmosphere each character and setting is portraying. Ateneo ENTABLADO is commendable for addressing the topic of sexual harassment with professionalism and respect by doing proper research. They show the audience the realities involved in cases of sexual harassment: the psychological aftermath that a victim must struggle with and the reasons why “complaining to the authorities” is not as easy as it sounds. This particular issue is highlighted in scenes where victims would rather keep the incident to themselves because they are afraid of being shunned by judging eyes. 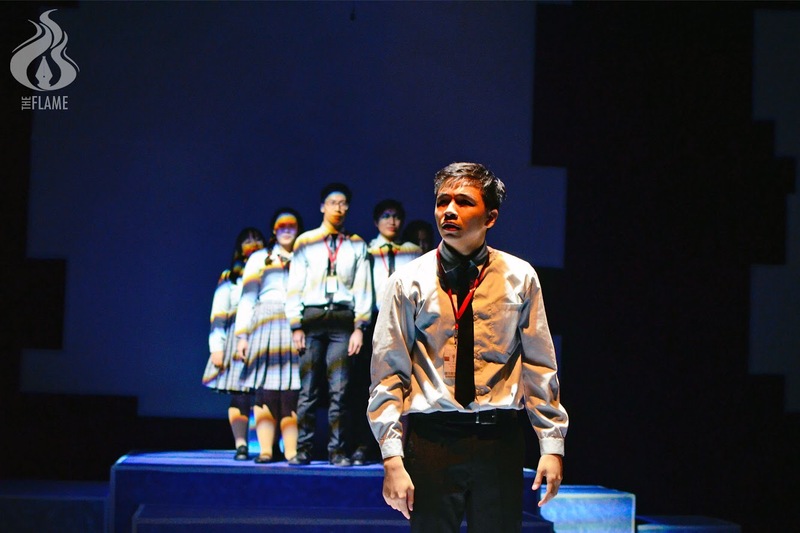 The play invokes the audience to understand the victims’ points of view and understand where they are coming from. It is easy to say that one sympathizes and wants to lend a hand, but it is not that simple. One must recognize the dominance of the patriarchy in order to eliminate the burdens suffered most especially by women; a society should condemn the system that gives leverage to such actions and they should not only find a band-aid solution but a sustainable one. Lastly, Freedom Wall mirrors real life through the use of social media, because the youth of the current generation uses the freedom that social media grants to voice out their concerns and unheard feelings of resentment toward others.